This entry was posted in News on April 2, 2019 by Mary Morrissy. This entry was posted in News on March 21, 2019 by Mary Morrissy. This entry was posted in News on March 20, 2019 by Mary Morrissy. This entry was posted in News on March 13, 2019 by Mary Morrissy. Dee Collins on Sunday Miscellany 10th March ! Congratulations to Dee Collins, who read a short memoir ‘Joe Ninety’ on RTE Radio 1 Sunday Miscellany about her Uncle Joe. 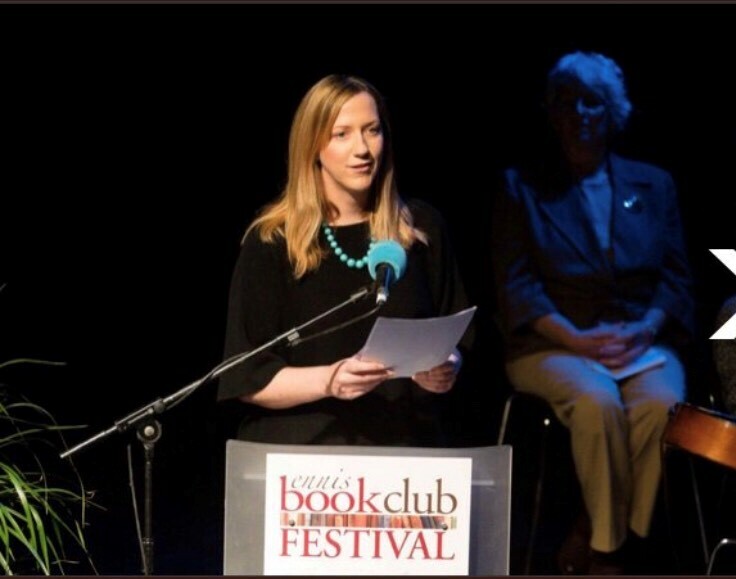 The show was recorded live at Glór Ennis, as part of the Ennis Book Club Festival and was broadcast on Radio 1 on 10th March. This entry was posted in News on March 11, 2019 by Mary Morrissy. Applications are invited from writers of distinction for the above role, jointly funded by the Arts Council and University College Cork. The Writer in Residence role is designed to provide a writer with a unique opportunity to develop his/her practice in a university environment while giving members of the university community the opportunity to engage with a practicing writer. The appointment of Writer in Residence is for one year and the successful applicant will be paid a fee of €20,000. S/he will offer four to six contact hours per week over two semesters, providing workshops and individual consultations. The Writer in Residence will enjoy uninterrupted time to advance his/her own work during the university vacations. The successful applicant will be expected to deliver two public readings during the course of the residency, and to become involved in the fruitful connections forged between Creative Writing programmes in the School of English and the wider writing communities and literary festivals in Cork city. We welcome applications from writers who work in genres including but not confined to: fiction; poetry; non-fiction; playwriting; digital storytelling. Please apply by letter or email, outlining your suitability for the role, on or by 3 May 2019, including a C.V. with details of books published. Applicants must have a strong record of high quality publications. More great news on the publishing front for the MA in Creative Writing. 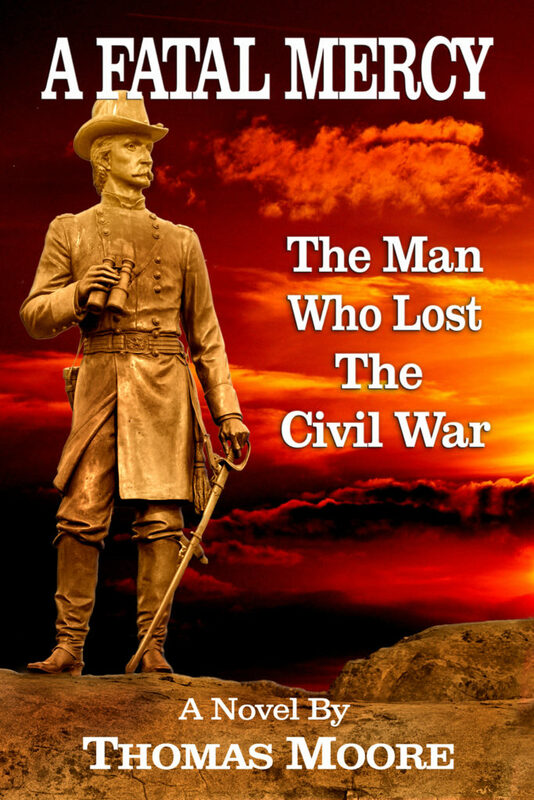 A novel by Thomas Moore (class of 2016/17), set during the American Civil War, has been accepted by an American publisher and will appear this spring. Thomas wrote part of the novel during his MA and presented it for his thesis. It was subsequently long-listed for the 2017 Bridport Prize for Fiction. A Fatal Mercy: The Man Who Lost the American Civil War will be published by Shotwell Publishing, based in Columbia, South Carolina, who specialize in Southern regional literature. Congratulations to Tom, who’s well into his second novel, also on a historical theme, this time set in Tudor England. It’s the story of an unlikely Irishman who stumbles on the answer to the greatest unsolved mystery of the time: who really murdered the two Plantagenet Princes in the Tower of London in 1485? Clue: it’s not Richard the Third, apparently. This entry was posted in News on February 26, 2019 by Mary Morrissy. This entry was posted in News on February 25, 2019 by Mary Morrissy. Just a reminder that Professor Lee Jenkins will be launching The Trumpet Shall Sound, the new novel by Director of Creative Writing in the School of English, Eibhear Walshe. 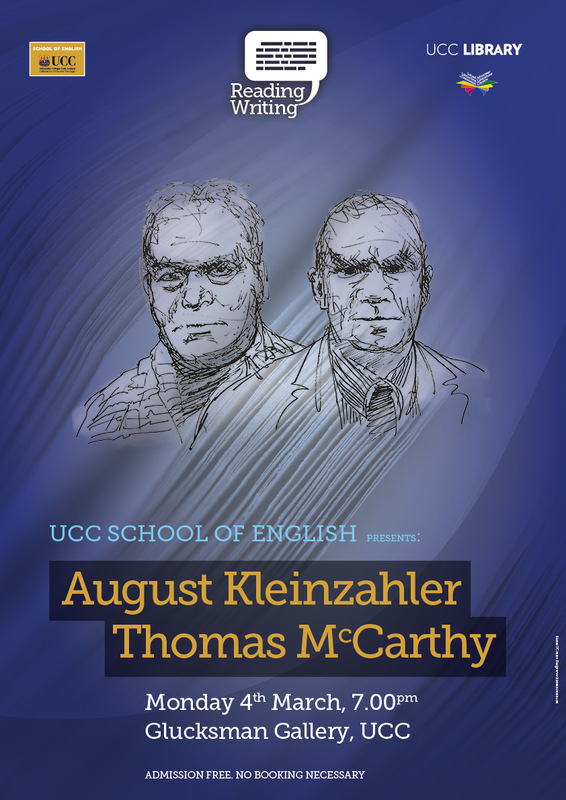 The launch takes place on Tuesday 26th February at 6pm in the School of English, O’Rahilly Building, UCC. 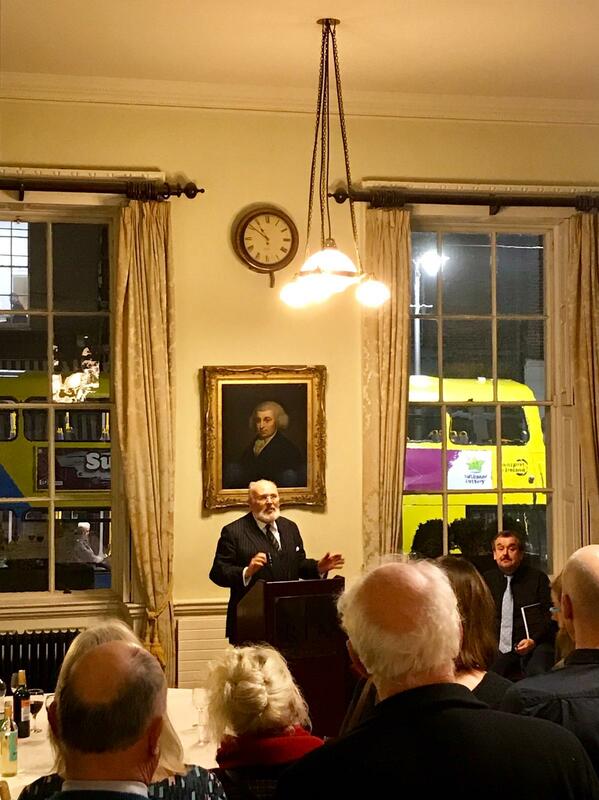 Below a photograph of the Dublin launch of the novel in the Royal Irish Academy with Senator David Norris. MA student Niamh Twomey writes about the February School of English reading. 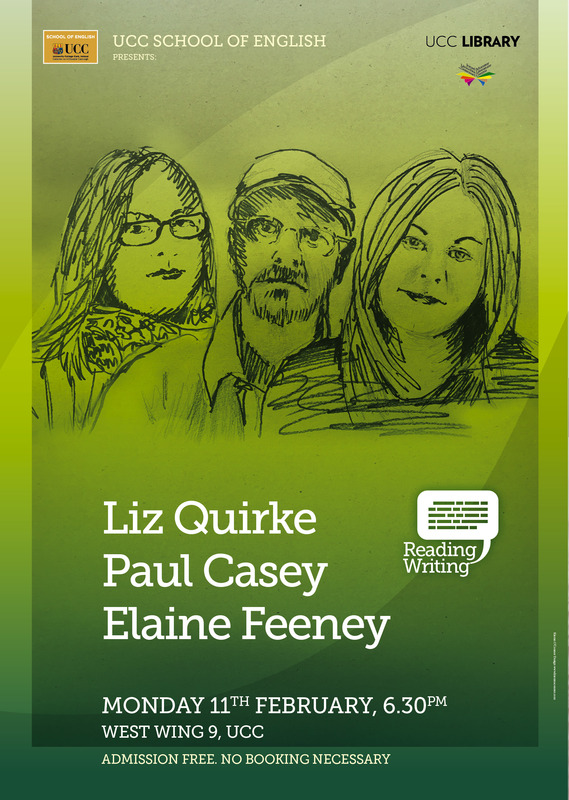 Poets Paul Casey, Elaine Feeney and Liz Quirke brought the audience on a journey from Nelson Mandela’s release, through the pages of a Leaving Cert History book to the depths of human grief. The reading began, as all good readings should, with a Cork poet. Paul Casey is the author of two poetry collections; Home More or Less (2012) and Virtual Tides (2016). 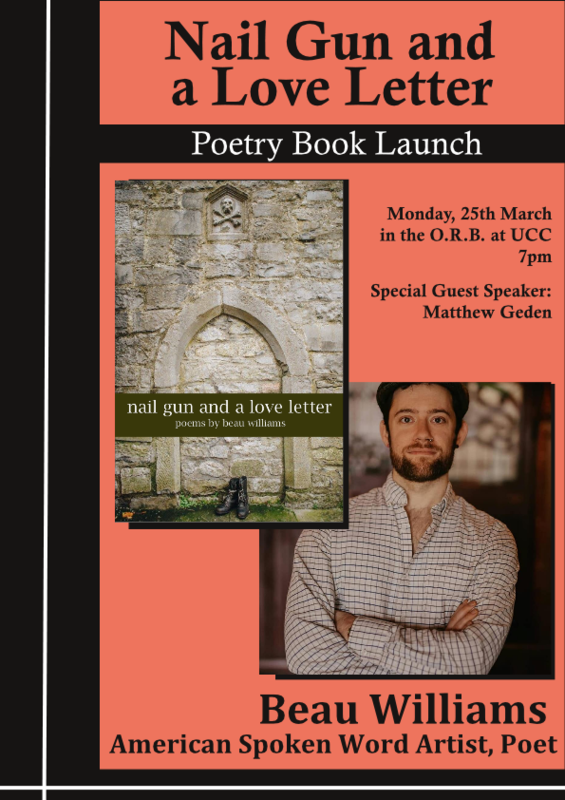 He has also edited numerous anthologies such as the recently published ‘A Place Called Home’; a collection of poems and stories written by international writers who have made Cork their home. He is best known as the founder of Cork’s weekly poetry event ‘Ó Bhéal’ (every Monday at 9:30pm in the Hayloft above The Long Valley bar). He opened, quite fittingly, with two poems dedicated to Nelson Mandela on this, the 29th anniversary of his release. His following poem “International Citizen” spoke to a universal anxiety around labelling people by their race. Yet of course, as a true Corkonian he couldn’t do a reading without mentioning our home by the Lee. His poem about the Elysian brought smiles to the faces of everyone who has shopped in Aldi or spotted its distinctive spike from across the city. Next up was Elaine Feeney. 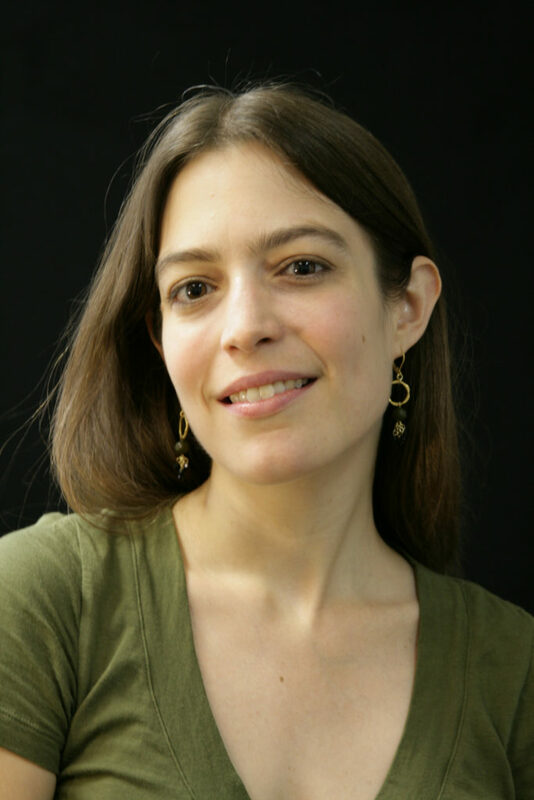 Heralding from Galway, she has published three books of poetry; Where’s Katie? (2010), The Radio was Gospel (2014), and Rise (2017). Her work has been translated into twelve languages and she has most recently turned her attention to writing for the screen. She opened with a poem about horse dealers which made our skin crawl, before characteristically delving into a commentary on the female position with her poem “Pity the Mothers”. Her hilarious introductions were almost as captivating as her brutally honest poetry. The following poem, she explained, written on request for her Liverpool-supporting son was entitled “Ryan Giggs is a Ride”. Her final poem was the pinnacle of her stunning performance, however. The long poem, “History Lesson”, written in response to the glaring lack of female figures on the Leaving Cert History course, carries the audience from sharp ironic facts to heart-wrenching stories of the speaker’s ancestors. “I spent one full hour convincing some friends that women / said poems in Ireland before / Eavan Boland. The women friends are suspicious. / They have English degrees.” The audience was transfixed. The final poet of the night was Liz Quirke, who published her groundbreaking debut poetry collection The Road, Slowly in 2018. Originally from Tralee, Quirke now lives in Spiddal, Co. Galway with her wife and family. She has had works published in journals such as New Irish Writers, The Irish Times, The Irish Examiner, Southword and Crannóg. 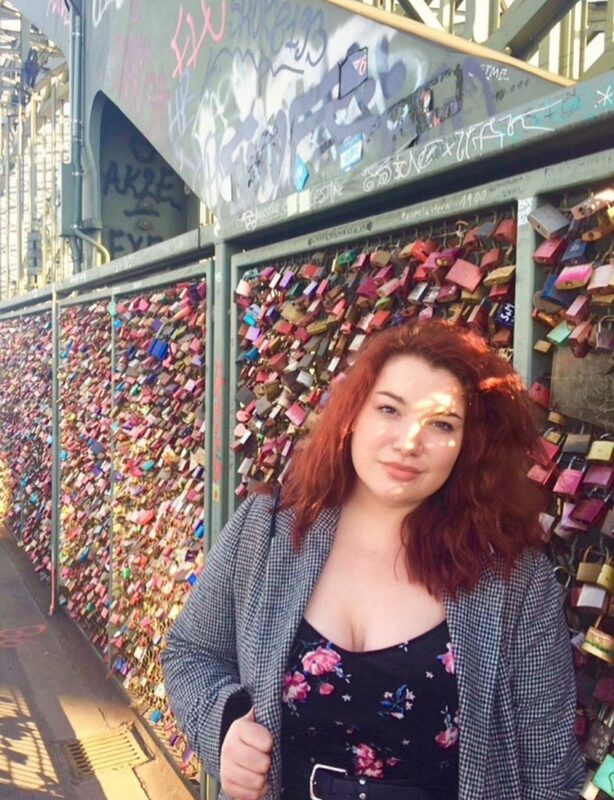 She is currently working on her second collection of poems as part of her PhD in NUI Galway. For the second half of her reading she honored us with a sneak-peak of her next collection. The problem with PhD students, she told us, is when you ask them what they’re working on they’ll tell you. But no one was complaining. These poems delved unapologetically into loss and grief. Drawn from the tragic death of a sister at a young age and the passing of her father; the speaker in her poems was laid bare in front of our eyes in West Wing 9. As the reading came to an end the audience trickled out, awestruck. Paul Casey shone a light on the connection between place and identity. Elaine Feeney humorously highlighted the lack of female voices in our History books. While Liz Quirke’s deeply personal poetry dealt with the struggles of a lesbian mother and the heartache surrounding the death of a loved one. This powerful group of contrasting yet equally spectacular poets made last Monday a night to be remembered. This entry was posted in Student Blog on February 19, 2019 by Mary Morrissy.